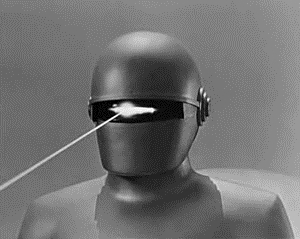 Do you remember the classic 50s movie The Day The Earth Stood Still? If you do you will understand why this circular cast aluminium lantern reminds us of the Gort the humanoid robot. Made in aluminium with a brushed finish and a frosted acrylic diffuser the modern styling makes this fitting ideal for use in and around contemporary homes. Luckily it is not fitted with a laser but an E27 lamp holder for Edison screw lamps up to a maximum of 60 watts. This fitting is however also suitable for energy saving lamps. Suitable for external and internal use age alike. 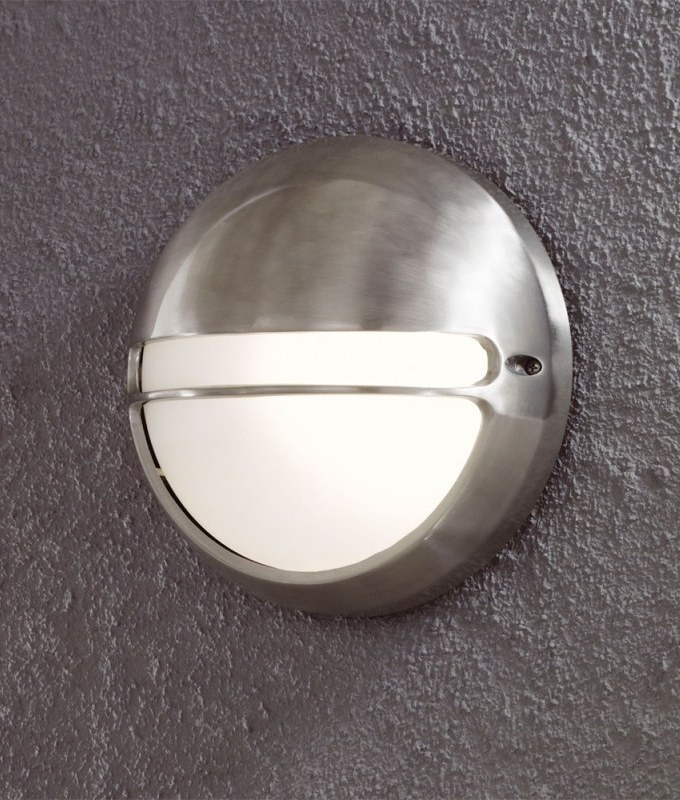 Ideal for positioning at an entrance with its unobtrusive light projection but also works really well on dwarf walls. IP44 rated providing protection from splashed water. Will this work with a (RAKO) dimmer? We do not stock RAKO dimmers, As long as the lamp is compatible with RAKO systems then it would work. Can an equivalent LED bulb be used with this light fitting? We have amended the listing. It now shows LED lamps that can be used.